Bill Gates was famous for releasing an annual memo to tell his troops what direction Microsoft was taking. He would do so after a ‘Think Week” where he would spend some time away from Microsoft, read great books, think and codify new plans. Current Microsoft boss Satya Nadella released a very similar memo in June, though it didn’t follow a think week and wasn’t as earth shattering as many of Gates’ missives. Where did Nadella come from? Nadella was a surprise choice to replace Steve Ballmer as CEO. After all, many high profile execs would have loved to have that job. But Nadella had worked tirelessly and smartly for Microsoft, and had earned his stripes. Since he was an insider, the Microsoft board knew what they were getting – and knew there would be little of a learning curve. Now let’s crack open that memo, shall we? He continued by saying it was important to note that being mobile-first doesn’t necessarily refer to the mobility of devices and that it is centered more around the experience of mobility, thus incorporating the cloud in this vision. Nadella believes this is why the two trends have to be seen as one and that is why Microsoft’s business model needs to account for this transformation. 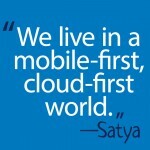 That means Microsoft products must be cloud and mobile ready, an approach which is long underway. Their strategy is to build best-in-class platforms and productivity services for a mobile-first, cloud-first world. Their platforms will harmonize the interests of end users, developers and IT “better than any competing ecosystem or platform”. Ultimately, the mission and strategy is founded on three interconnected and bold ambitions. At Microsoft’s helm, Nadella will continue developing software and services that span all the major devices. He said that in the future the drive for Microsoft products will continue increasing by focusing on dual-users who use their products not only at work but also in their everyday life. Much of this will be driven by the cloud, following Ballmer’s ‘all in the cloud’ strategy. But what about Microsoft Partners? Well, Nadella’s memo also had a very special place for them and it seems like Partners remain a key piece of the puzzle. 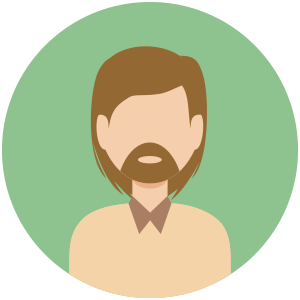 “We’ll further provide a powerful extensibility model that is attractive to third-party developers and enterprises. This in turn enables us to attract applications to our cloud platform and attach our differentiated capabilities such as identity management, rich data management, machine learning and advanced analytics,” he wrote. To me, this all sounds like fine tuning of strategies already in existence – in some cases approaches in place for well over a decade. For a mature company such as Microsoft, this evolution makes more sense than reaching for the stars with a revolution that may crash and burn, so Nadella may be on to something with a more incremental strategy. Mac lovers the world over are lamenting that Microsoft’s mobile and cloud first strategy scrupulously avoids the Mac, as does Satya Nadella’s recent memo. There are seemingly no plans to build new native Mac apps or even upgrade the ones Redmond already has. An InfoWorld blogger found a bit of fault in this approach. “There’s a troubling pattern emerging in Microsoft’s new “mobile first, cloud first” product strategy: The Mac is last, if on the radar at all. Seeing as how Microsoft portrays its new application strategy as serving a heterogeneous world and no longer being dependent on Windows to drive growth, that Mac omission seems odd,” wrote InfoWorld’s Mark Hachman. He does mention that Microsoft plans to give the Mac software – the software designed to run on a browser, not a native app. In fact, Microsoft still plans native apps for Windows, Android, even iOS. Just not the Mac OS. I entirely see Microsoft’s point, and in fact blame Apple for the omission. Let’s face it. Apple got iPhone fever, then iPad fever, and now Apple Watch fever. The Mac grew cold and stale a long time ago. Apple has been happy to have it as a niche and hipster machine, and gave up on business in eons past. The Mac is still a great machine, but the interface and core functionality are stale. If Apple doesn’t care about the Mac, why should Microsoft? If you would like to read the memo in its entirety you can check out the version obtained by GeekWire here.